« Travel – and the world’s most interesting and unique hotels – has always been one of my passions and at Sikelia I have gathered my travel experiences – the details from every hotel that welcomed me and made me feel at home. It is those details and special attention that are at the root of true luxury. 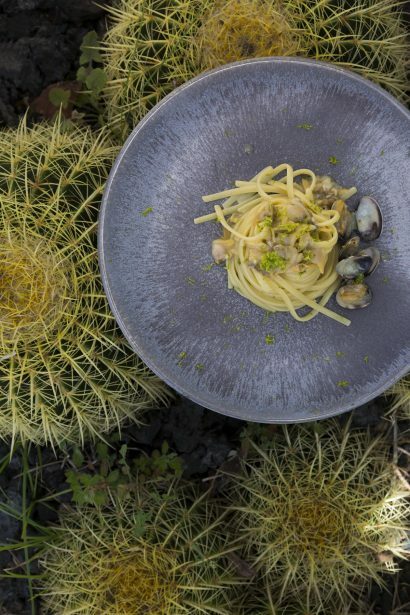 The idea for Sikelia came to me some time ago – Pantelleria has so much to offer and it needs to be shared with people who care about fine things. Art work by Gennaro Avallone and Benedict Vallet. Dorelan bedding set menus for all Suites with Frette linens, Hamam robes and Hermes amenites. True luxury delivers unexpected pleasures above and beyond what is essential or necessary. At Sikelia it exists in the small details that differentiate an experience from what is “normal” or “average”. The key is “common” things done uncommonly well. A wild and peaceful land at the heart of the Mediterranean, offering African-hued sunsets and unforgettable starlit nights: welcome to Pantelleria, a beautiful and intriguing place, born around 300,000 years ago, whose volcanic origins are reflected still today in its colours and its secrets. The island stands out, amongst other things, for its rugged coastline and the green countryside overhanging the sea. This isn’t a place of sandy beaches, but rather one of small coves with crystal clear waters, spectacular and mysterious caves and a descent to the sea over smooth rocks. 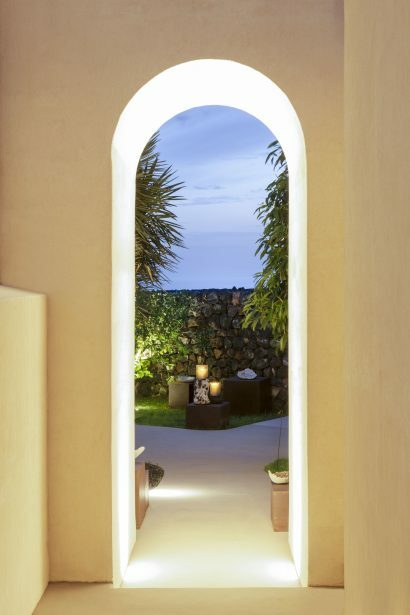 Pantelleria’s volcanic origins are also to thank for its authentic open air spa facilities. Main activities include swimming, diving and snorkleling, boat tours and excursions, archaeological excursions, natural spa sites – saunas, hot water springs – , wine tourism. Pantelleria stands out, amongst other things, for its rugged coastline and the green countryside overhanging the sea. This isn’t a place of sandy beaches, but rather one of small coves with crystal clear waters, spectacular and mysterious caves and a descent to the sea over smooth rocks. Pantelleria’s volcanic origins are also to thank for its authentic open-air spa facilities: from the hot springs of Gadir and the Benikulà Cave natural sauna to the mud of the Lago di Venere, every corner of Pantelleria offers regeneration the senses and reconciliation with nature. 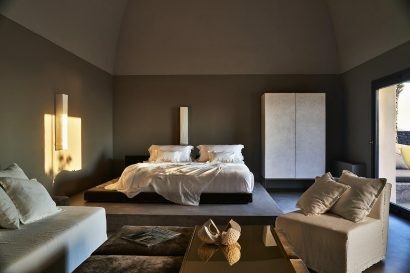 Sikelia and Pantelleria are synonymous with luxury, privacy and tranquillity. Sikelia offers the opportunity to create precious memories of unforgettable experiences that only Pantelleria can give through bespoke Experiences and Excursions. The agricultural techniques used to cultivate Pantelleria’sZibibbo vines are the only ones worldwide recognized as UNESCO heritage; how not to taste the fruits of the hard work of this heroic cultivation dating back to the time of the Phoenicians? And where else in the world will you be able to enjoy the fruits of this labour, “nectar of the gods,” at sunset in the warm waters of Gadir’s thermal springs? 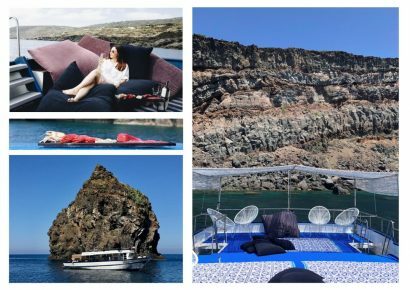 Pantelleria is also considered the most beautiful destination in Italy for the scuba diving for its intense blue waters and the backdrops of Roman amphora and coves to explore. Adults only – Because of the peculiar nature of the hotel, and the need to guarantee our guests the utmost tranquility, Sikelia is not suitable for children. 20 Stylish suites housed in ancient dwellings bring together strict monastic interior architecture and refined contemporary elegance. They are all different in conformation, but share the same stylish design and meticulous attention to detail. Suite Pantesche – to Experience the true atmosphere of traditional Dammusi. Finely furnished niches and alcoves with elegant details will transport one through an archaic experience. Executive Suites – These beautiful, spacious suites are designed with relaxation in mind, and their unique views are ideal for enjoying the surrounding countryside. Master Suites – The cosy feel of our Master Suites is the result of skilled design and attention to detail. Private terraces offer intimacy and unique views of the intense landscape of this rugged island. 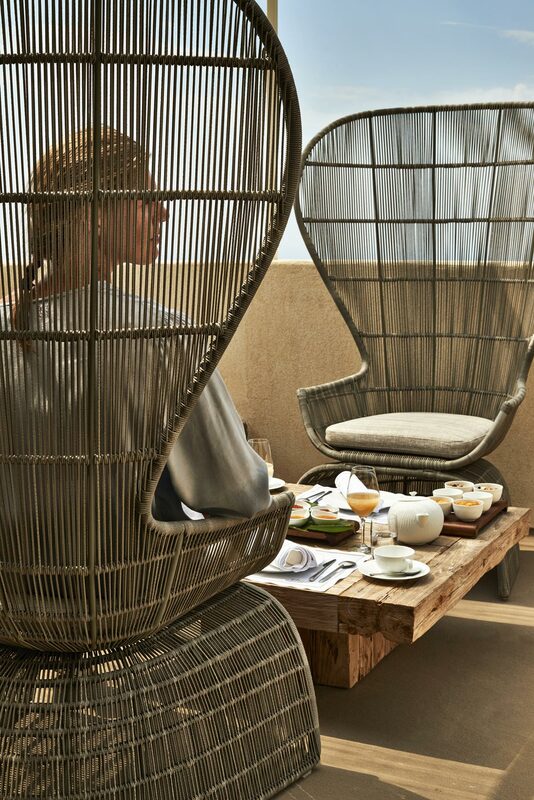 Iconic Suites – Suites of great elegance with soft, refined colours, salons and fabrics. 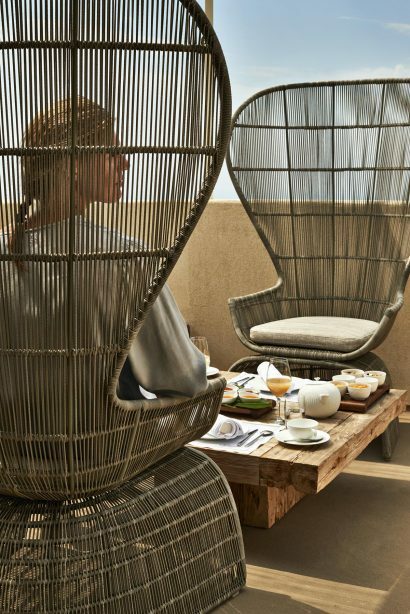 Private outdoor terraces with a spacious ducchena invite you to surrender to our slow Sicilian rhythm, while your gaze drifts away towards the sea. 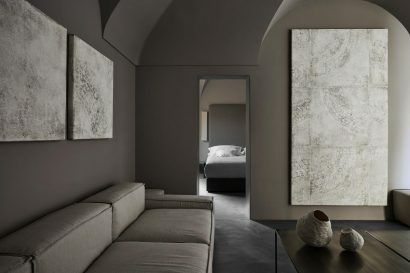 La Stanza sui Tetti – Sikelia’s Penthouse, an extremely spacious apartment offering refined detailing and contemporary elegance. 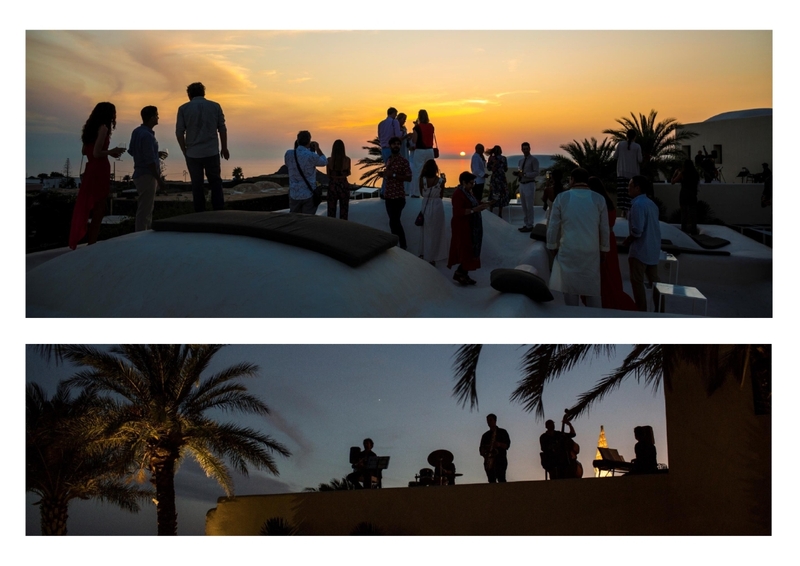 A towering structure, with stunning views and private access to the white domed roofs, this is a private and intimate space in which to indulge in incredible sunsets. Amenities: Free Wifi, air conditioning, floor heating system, satellite tv, iPod docking station, direct dial telephone, safe, complimentary mini bar, morettino coffee machine, hairdryer, bathrobe slippers and other home comforts, turn down service, room service, Hermes amenities. 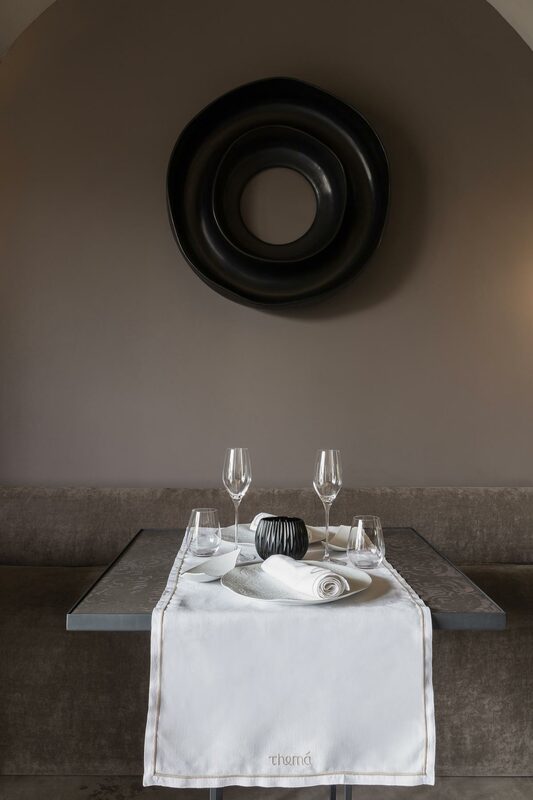 Themà Restaurant and Lounge – regional cuisine with an international touch. An emotional experience to nourish the soul, showcasing all the flavours and aromas of this land at the heart of the Mediterranean, accompanied by wines closely cultivated by the wind and the sea. Gourmet creations served in palm grove framed by the white cupola of our dammusi, in which one can share the pleasures of the table under magical starry skies, in a silence so profound and sincere that only an island so close to Africa can offer. 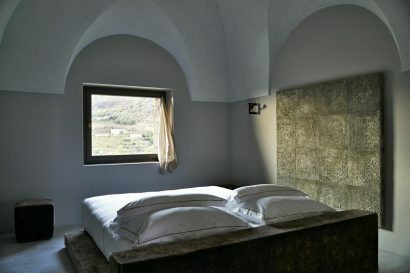 Tenuta di Coste Ghirlanda (www.costeghirlanda.it) – the outdoor lounge immersed in the vineyards of Wine Estate Coste Ghirlanda dominates the plain below, with a 360-degree view that embraces the hinterland with its vineyards, its contrasts and its scents. A magical and isolated place to track the sea to the horizon. 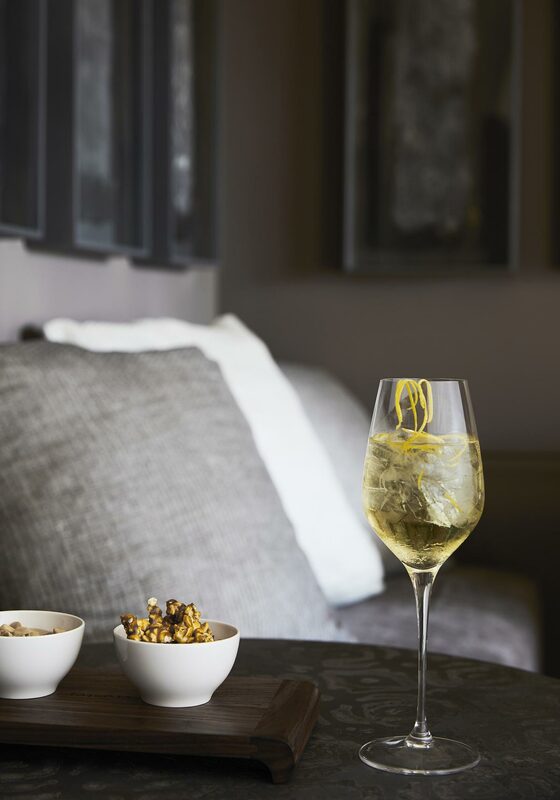 A place in which to share the fruits of our heroic cultivation combined with the evocative flavours of our land, while the absolute silence of the valley merges with laughter and festivities. Two very different restaurants united by the desire for refinement and with a strong link with the surrounding nature. Sikelia has an outdoor pond shaped swimming pool. 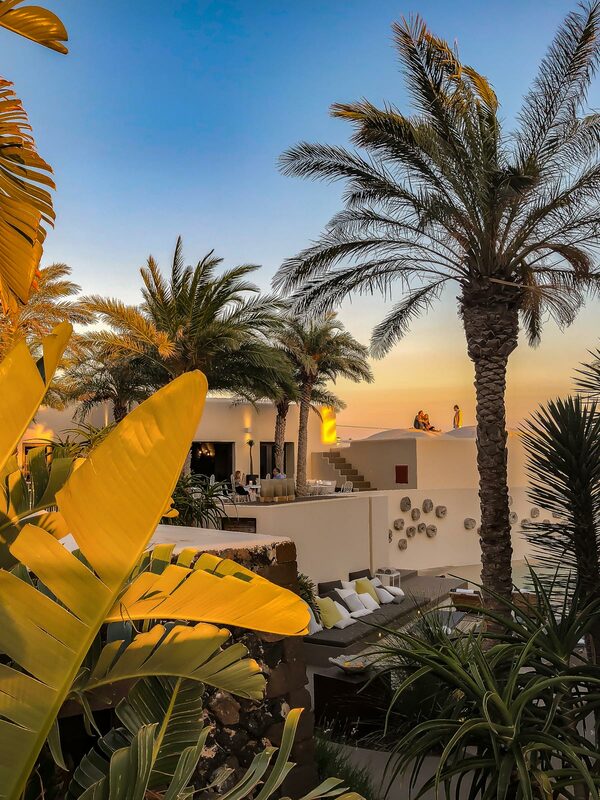 We offer massages and beauty treatments inside our Suites or in our Arabic garden, under the shade of a palm tree, surrounded by the heady scent of jasmine. Sikelia offers clients exclusive tailor made excursions in order to provide clients with unforgettable timeless experiences. An example? 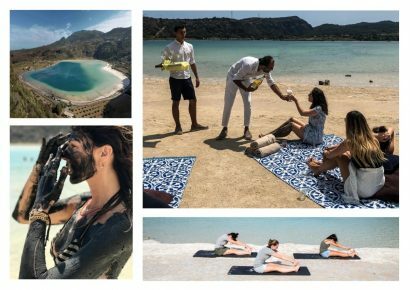 Gourmet pic nic at Lago di Venere (volcanic lake): After an emotion-filled morning under the bright Sicilian sun exploring the marvels of the Montagna Grande, or absorbing the benefits of a mud bath at Lago di Venere, we offer the option of a tailor-made picnic. A special meal prepared by our Chefs, with guidance from the Maitre on your personal dining desires, and served by our staff at just the right spot on the tour. We ensure that clients have absolutely everything they needed to transform a picnic into a unique culinary and scenographic experience. What better way to restore their energy without having to leave the wonderful outdoors of Pantelleria… or what a pleasant surprise to offer their travelling companion(s)!